Volume 3 - 1st printing. Collects Ms. Marvel (2015 4th Series) #1-12. Written by G. Willow Wilson. Art by Adrian Alphona. Earth's Mightiest Metamorph! 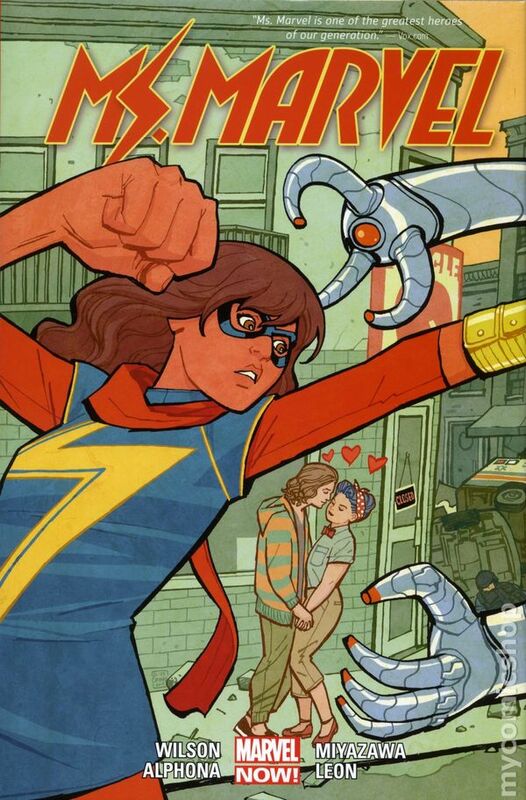 Look out world, Kamala Khan is an Avenger! But will it be everything she imagined? Or is life as a celebrity more difficult than she thought? Saving the world is important, but Jersey City still needs its protector, too: A development company using Ms. Marvel's face has more in mind for gentrification than just real estate. Can Kamala take down the evil suits destroying her home without ruining her personal life? Then, Kamala's Avengers dream is wrecked when CIVIL WAR II leaves her torn between her idol, Captain Marvel, and her mentor, Iron Man. Which side will the new generation of heroes - Ms. Marvel, Spider-Man and Nova - choose? Trouble starts brewing at a tristate academic competition - and the conflict sure won't end there! Hardcover, 8-in. x 11-in., 272 pages, full color.